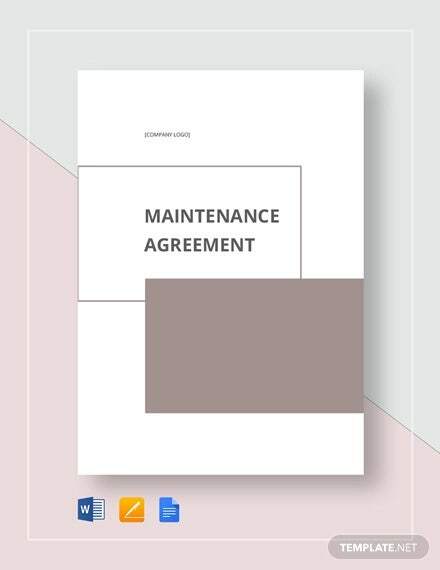 A maintenance agreement arises whenever 2 parties are interested to come into a consensus of terms and conditions regarding compensation in exchange for maintenance services. It is usually entered into by a client and a maintenance service provider. 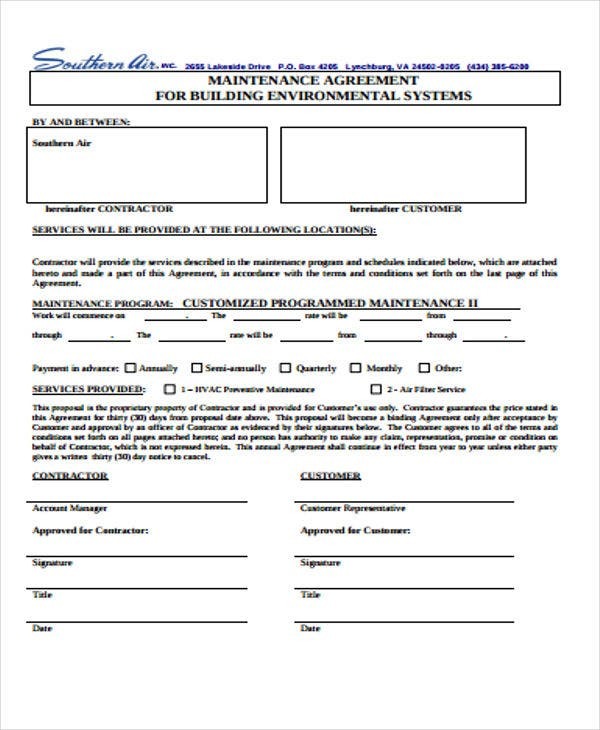 Written maintenance agreement samples ensure that stipulations are complied with. Parties sign maintenance agreements along with a non-disclosure agreement possible terms exclusive between parties concerned. A partnership agreement like a maintenance agreement should be properly written to emphasize rights and other terms whenever the situation calls for it. 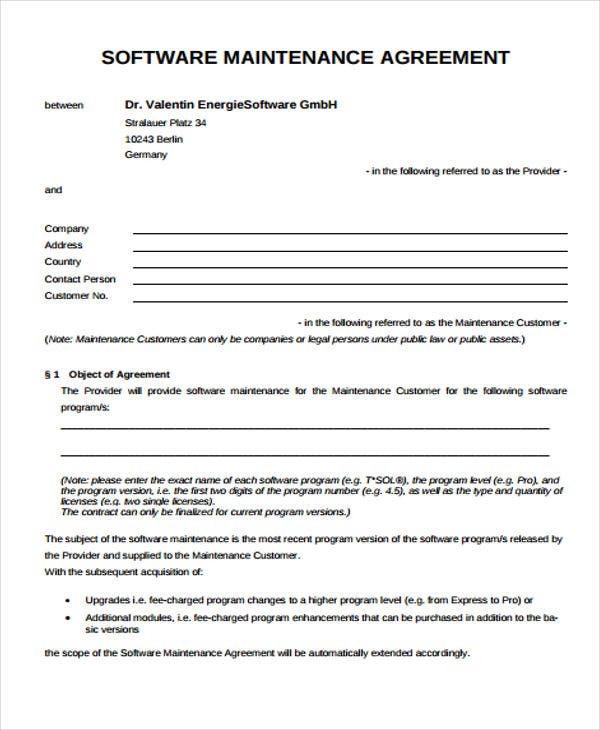 Since specific agreements are not easy to put into writing, maintenance agreement templates could definitely be of extra assistance. 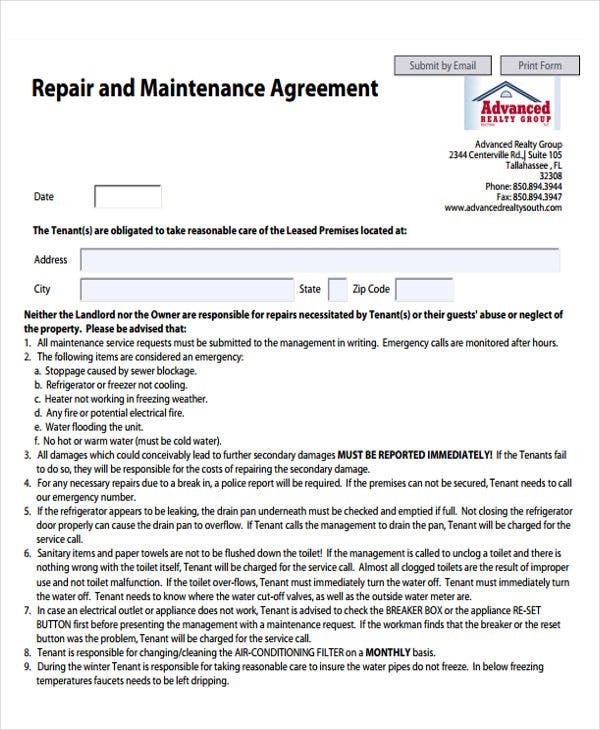 If you plan on signing for a maintenance agreement, always take note of how it is written and how it is structured for easy comprehension. 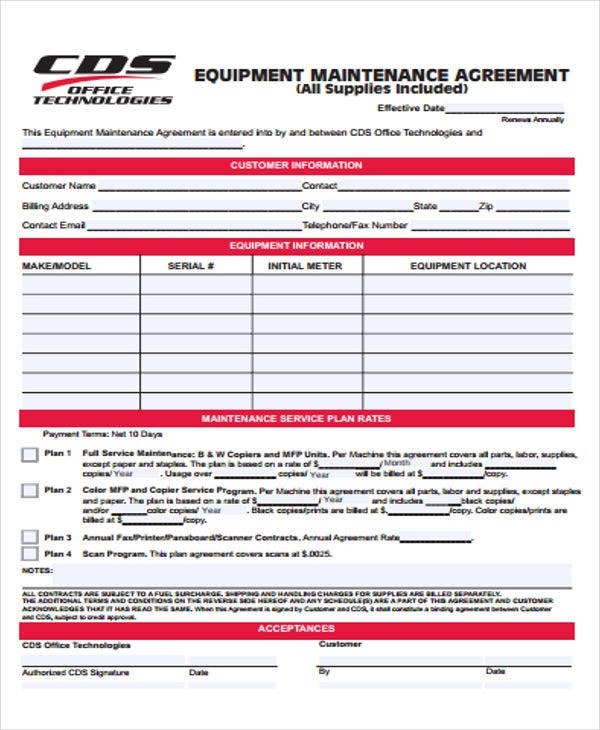 One must be familiar with the key elements of a maintenance agreement before getting to write one. 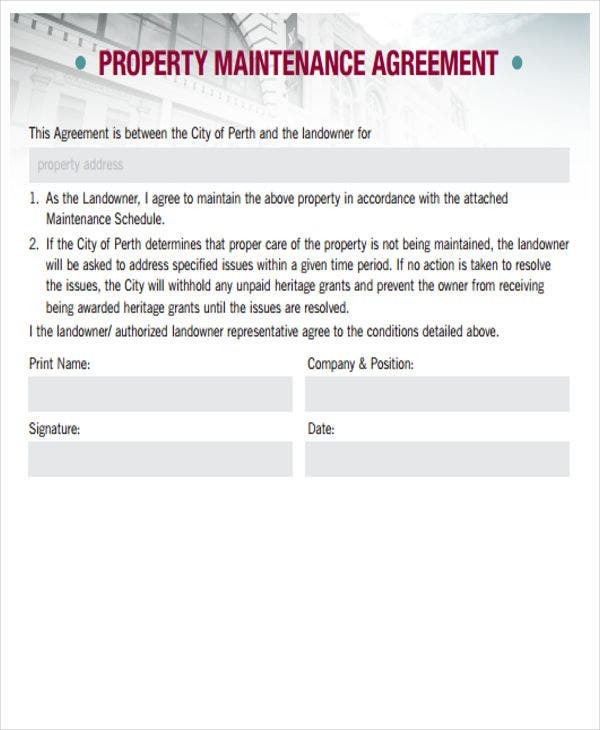 Agreement Title – The agreement title is always in any agreement document or template be it in vendor agreement templates or even in investment agreement templates. 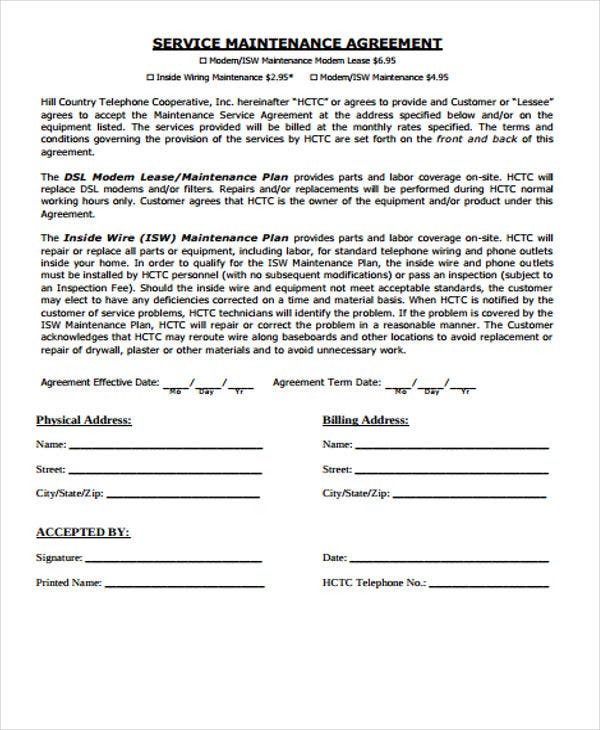 The title is the most noticeable element of any agreement which in this case, a maintenance agreement. Defined Party Relationship – At the beginning of the agreement should be a defined relationship between the contracting parties. This agreement element emphasizes the obligations of the parties towards each other as reflected in the agreement. Service Terms – The agreement must also specify the scope of maintenance provision and duration of services. On the other hand, clients must also specify on the compensation and other terms in case of unfavorable circumstances. 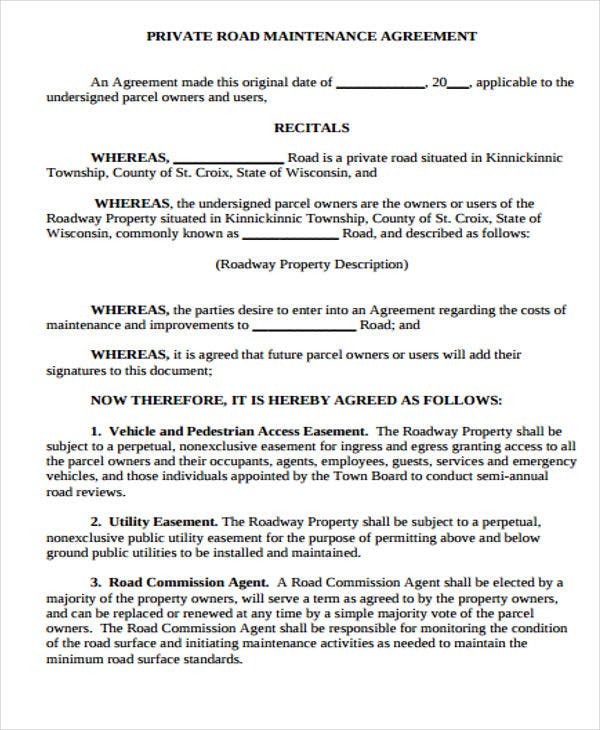 Signatories – Maintenance agreements must always include affirming signatories towards the end of the agreement document. 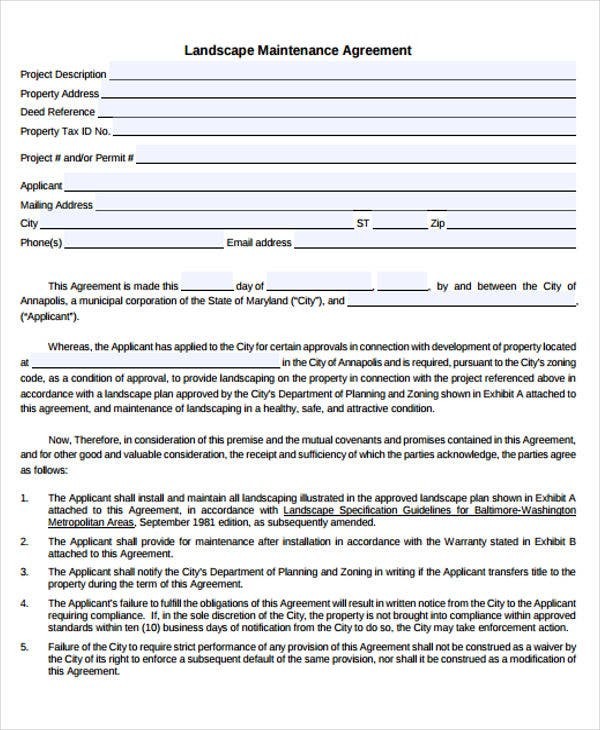 Agreement templates in Word and the rest of other sample agreement templates in this page always secure a portion for signatories for efficient agreements. These elements are essential in formulating maintenance agreements to ensure both parties are covered within their areas of obligations. 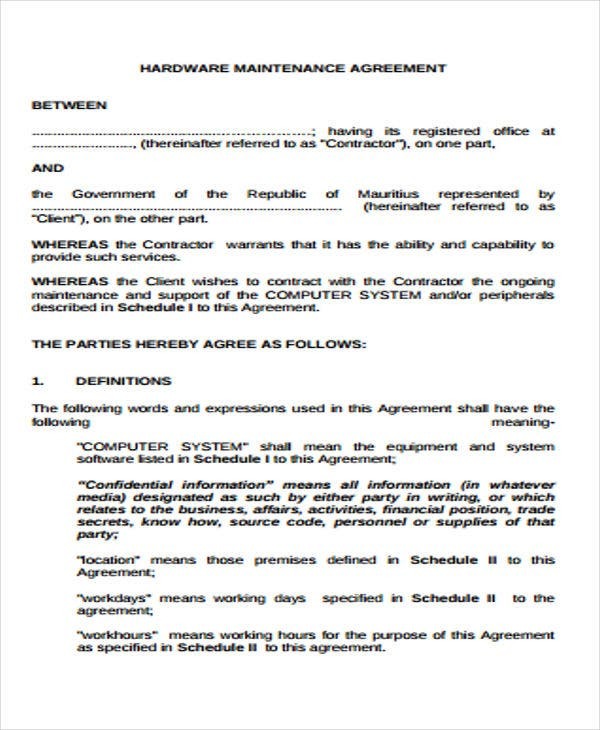 A maintenance agreement is created to emphasize on the services that need to be rendered and the compensation that is due to parties respectively. Service agreement templates like a maintenance agreement should observe proper guidelines to avoid jeopardizing personal agreements. Do write party details completely. Failure to specify party details might be a problem in the long run or whenever agreement clarifications may arise. The agreement should revolve around the parties reflected in the document until completion of obligations. Don’t talk about agreement matters publicly. In compliance with a non-disclosure agreement, terms and conditions should be shared within concerned parties as much as possible. This is to ensure that no other parties could change the terms set forth in the agreement. Do review terms and conditions as you write. Maintenance terms and conditions should always be deliberated well as you progress with the input of content. Reviewing information is one way to ensure each party gets fair benefits from doing the same load of obligations to meet what they have agreed upon. Our printable agreement templates in this page guarantee compliance with everything but not limited to what is mentioned above. 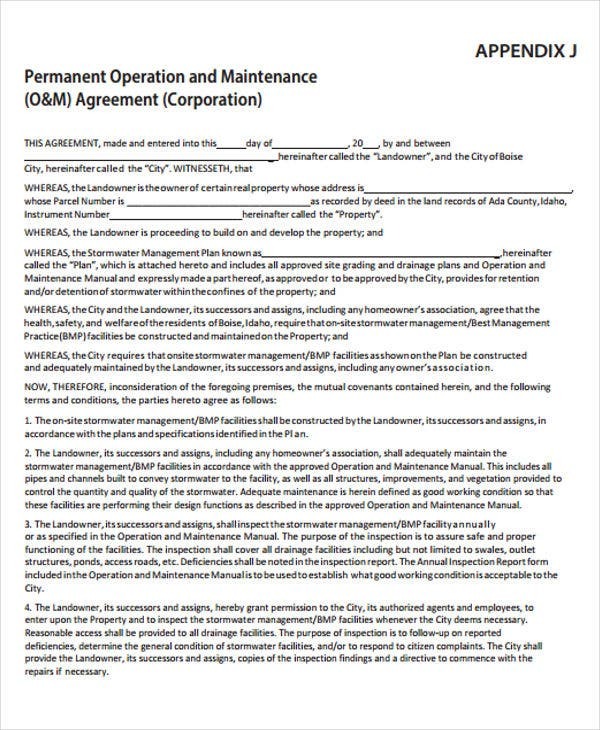 Maintenance agreement templates could help avoid mistakes in its structure and content.